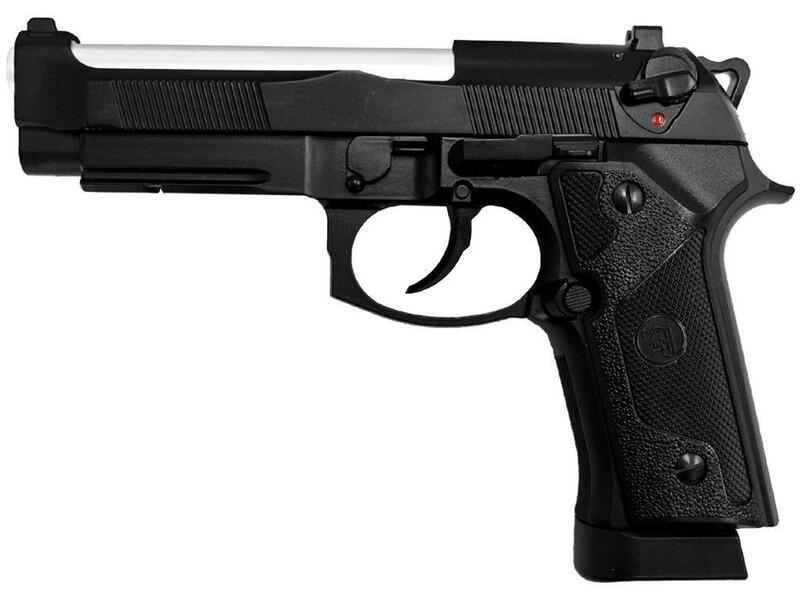 KJ Works M9 Elite IA Metal Airsoft Pistol | ReplicaAirguns.ca | Easter Weekend Sale! Trigger Pull: Very nice in both single and double action. The Elite IA has a surprisingly lightweight double action trigger. It will be shooting primarily in single action as the blowback precocks the hammer with each shot. Accuracy: I shot from 20 feet out in semi-rested position and was able to place 10 rounds in a 2 to 2.5 inch grouping. The Beretta Elite IA shot well-centered also but just a hair under center mass. It got right around the 330-350 FPS mark (5 shot average chrony testing). This blowback airsoft gun should be able to hit 366+ FPS in the right shooting conditions. Build Quality: I was extremely impressed with the build quality of this KJ Works airsoft gun, the fit and finish is the best I have seen on any of my guns including airguns. Even after shooting several magazines worth of BBs, the painted metal friction areas did not seem to show nearly as much wear as some of my other blowback guns. The tolerances between the moving parts like the slide and frame are very tight, showing excellent workmanship and machining. Realism: This KJ Works is based on the real steel version of the Beretta pistol. The Elite IA has licensing which is a plus. Comments: I guess you get what you pay for, this KJ Works airsoft gun does fetch a bit of a high price but when you take it out of the box and really look at them closely you can see why. It is pretty much flawless and the fit and tolerances are very good with very little play in the mechanical parts. Shooting this gun is just as wonderful, it worked very well and got consistent accuracy and FPS between shots. There were no ammo loading problems and no unexpected behaviors. If you can afford to pay that little bit more for one of these very high quality KJ Works blowback airsoft guns, you will not be let down! 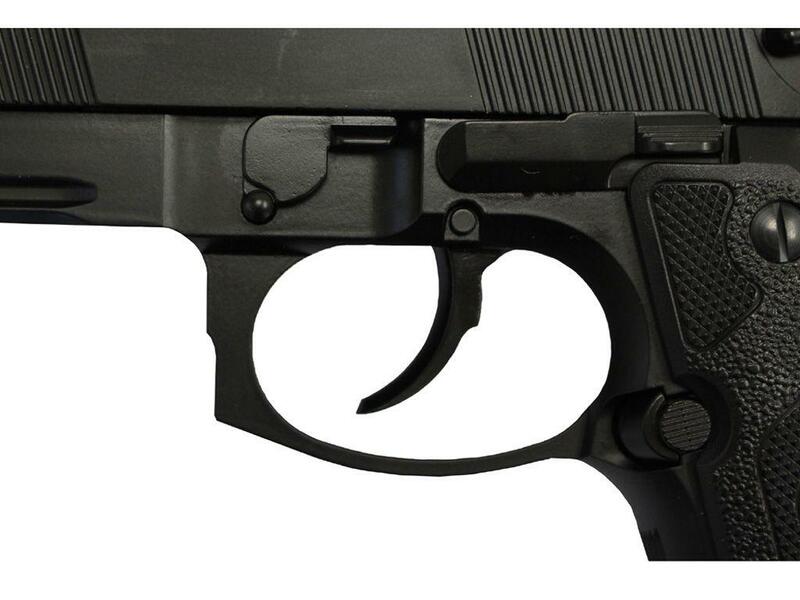 http://www.ReplicaAirguns.com - KJWorks KP-02, KP-07, Elite 1A Blowback Airsoft Pistol Review. This is a table top and shooting review of three KJWorks CO2 Blowback Airsoft pistols, the KP-02 Sig Sauer P229, the KP-07 Colt 1911 and the Elite 1A Beretta. I show you around all three Airsoft guns and walk you through their basic operation and handling. I also test them out on Chrony Chronograph to see what the real world fps velocity actually are and I also shoot them from 20 feet out on a target to see what kind of accuracy you can expect with both fine Airsoft pistols. There is a shooting example for each showing the blowback operation at 400 frames per second. I guess you get what you pay for, these KJWorks Airsoft guns do fetch a bit higher price but when you take them out of the box and really look at them closely you can see why, they are pretty much flawless and the fit and tolerances are very good with very little play in the mechanical parts. Shooting these guns is just as wonderful, they all worked very well and got consistent accuracy and fps between shots. There where no ammo loading problems and no unexpected behaviors with any of these Airsoft pistols. If you can afford to pay that little bit more for one of these very high quality KJWorks Blowback Airsoft guns, you will not be let down!